Well this post is long overdue. I got another motorcycle last month, just in time to put it in winter storage!! I had been looking for a bike for my wife, something small, light and not too expensive, after all I have no idea how much she will want to ride. Also there is the pressure from the cagers, discouraging her from buying a motorcycle at all. The buying process was grinding to a halt. Then, as he often does at the most unusual times, my brother came through for me. 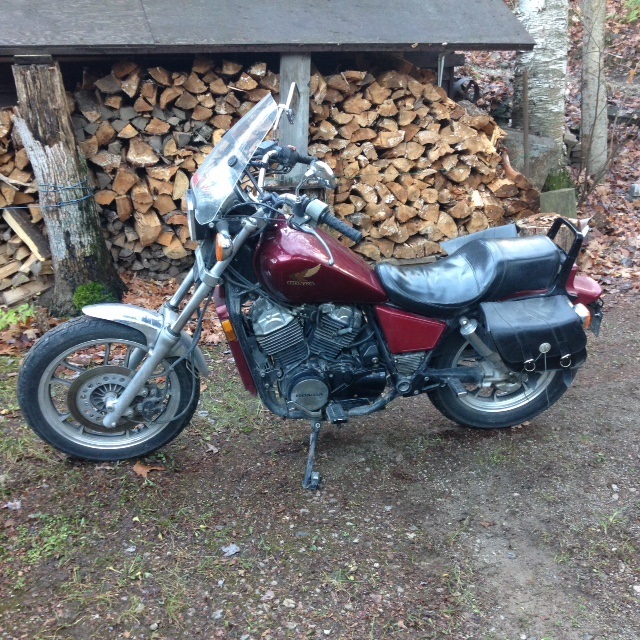 He had been transferred out to Saskatchewan and left his 1984 Honda shadow 500 behind here in Ontario, stored at the back of a friend’s garage. Such a shame. 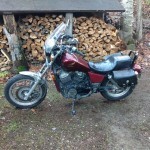 So it was agreed, for a small fee I would give the bike a new home and a new rider. 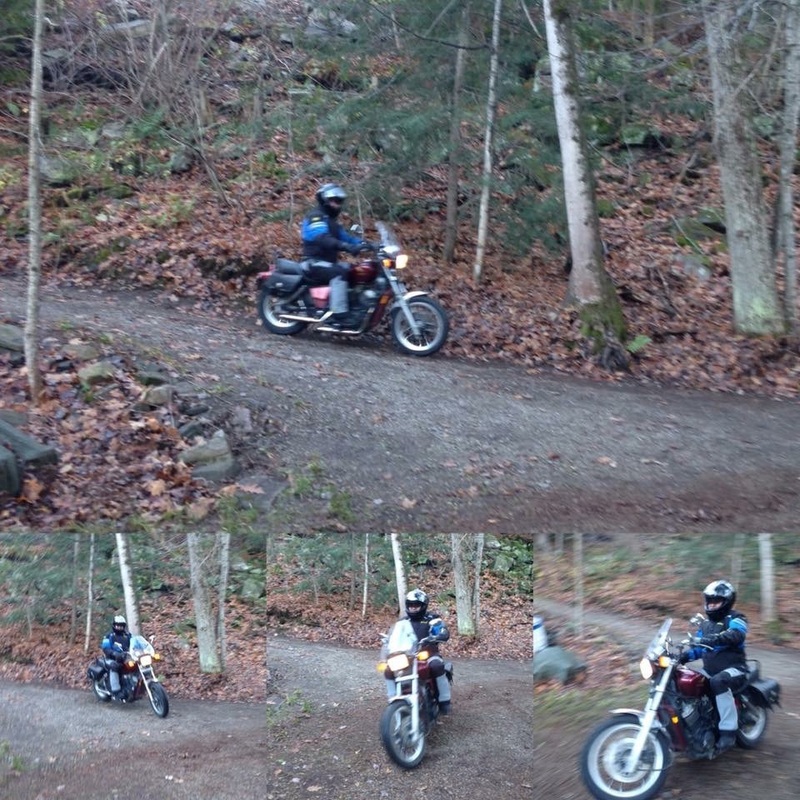 The first time I started the bike it backfired and scared anyone within 500 kilometres. Welcome Chitty Chitty Bang Bang !! 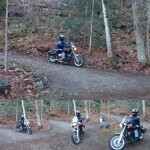 This entry was posted in Canada, Ontario and tagged adventure riding, Honda, motorcycle roads. Bookmark the permalink.